Approximately 30 minutes from The Awapuhi Farm, Akaka Falls State Park features a 0.4 mile hiking trail that meanders through a lush tropical rainforest with fragrant flowers, vines, ferns, bamboo, and other vegetation. 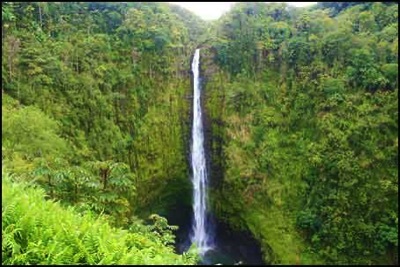 The walk includes two viewing platforms where you can stop to see Kahuna Falls, which is about 400 feet tall, and Akaka Falls, which is 442 feet tall. 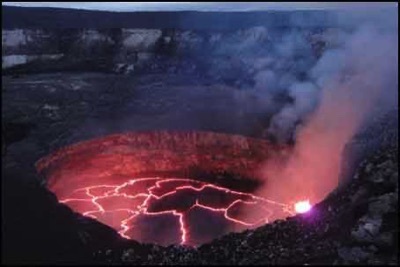 The only national park on the Big Island, Hawaii Volcanoes National Park encompasses over 200,000 acres of land and includes two active volcanoes, Kilauea and Mauna Loa. The hot spot beneath the park has been active for over 70 million years, and the park displays the result of this, as well as millions of years of plant and animal migration and evolution. It is about an hour and a half from the Awapuhi Farm and would generally be a full-day outing. 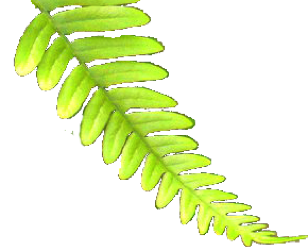 A 100-acre hiking and picnic area that is about 15 minutes away from the Awapuhi Farm, this park allows you to experience the upcountry beauty of Hawaii’s native rainforests. 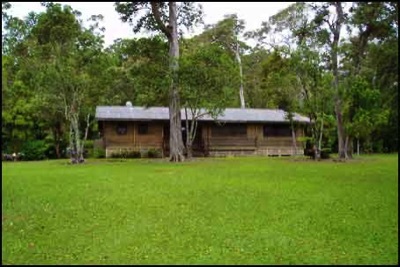 The park features grassy, park-like areas, covered pavilions, and a 0.7 mile hiking trail. This stop could be combined with other activities, like Waipi’o Valley or the Kohala Coast beaches. 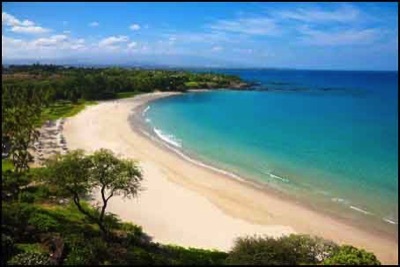 The Kohala Coast is world-renowned for its beautiful, sandy beaches and near-perfect weather. This is the destination of choice for most of the vacationers who come to the Big Island. There are several beaches to choose from in this area, but all are within about an hour of the Awapuhi Farm. This trip can also include dining, shopping and/or spa treatments at the resort hotels in the area. 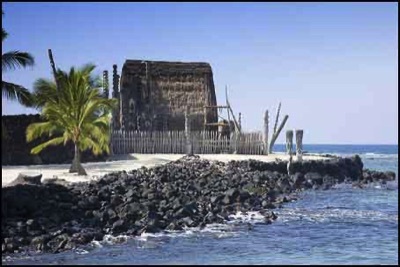 Also known as the City of Refuge, Pu'uhonua o Honaunau National Historic Park is a sanctuary of Hawaii’s past where traditional Hawaiian lifestyle is preserved. The park provides visitors with a peaceful place to explore Hawaii’s history and is a safe haven for all of the native wildlife living here. 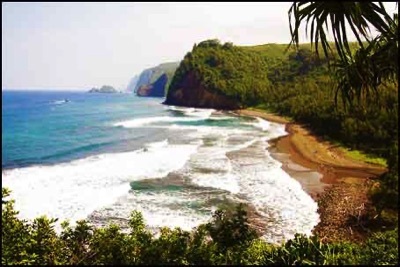 Pololu Valley is an uninhabited valley with a black sand beach located at the end of the road in the Kohala District. This trip can include an approximately 30 minute hike to the bottom of the valley, or just a visit to the lookout at the top of the valley. While in Kohala, you will probably like to visit the numerous galleries, shops, and restaurants in the quaint towns of Hawi and Kapa’au, so plan a few extra hours for these activities. 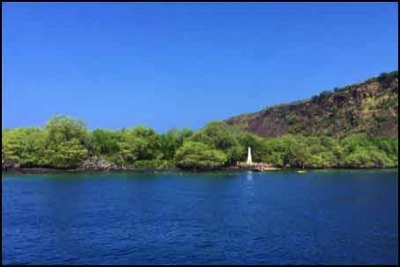 Kealakekua Bay is a marine sanctuary, home to spinner dolphins, beautiful fish and coral reefs and a resting spot for winter migrating whales. Take a kayaking tour, try a paddle board and hike or take a kayak or snorkel boat cruise to Captain Cook monument where you can snorkel and see unusual fish and coral, and perhaps swim with the dolphins! 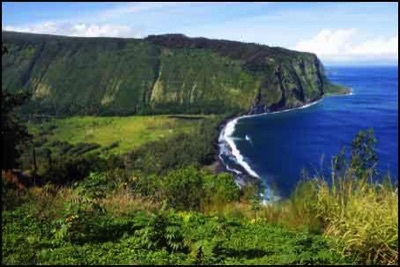 Approximately 30 minutes from The Awapuhi Farm, the trip to Waipi’o Valley is a breath-taking journey to one of the most historically significant locations on the Big Island. Also known as the Valley of the Kings because it was the home of many of Hawaii’s rulers, Waipi’o was the most fertile and productive valley on the Big Island before western contact. This valley is about one-mile wide at the ocean and approximately six miles deep.